Steak is a easy dinner to throw together and somehow always impresses people. “Oh steak?” they ask while licking their lips. “Yes steak”. 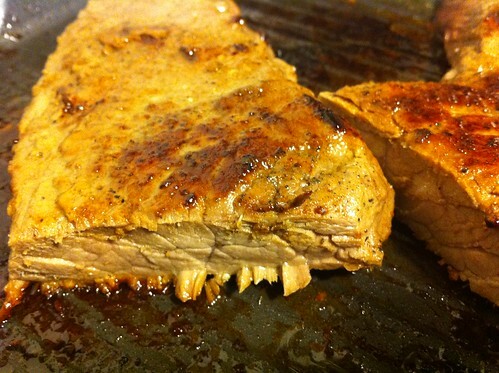 A simple london broil that was cooked for about 15 minutes on medium. I just seasoned it with salt and pepper. 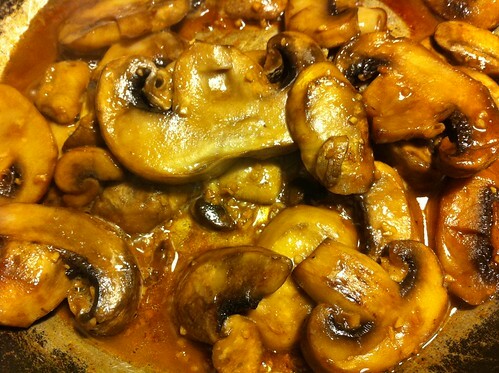 I marinated mushrooms in butter and then added mined garlic and soy sauce. Leave the liquid boil off and then pour these on your steak. 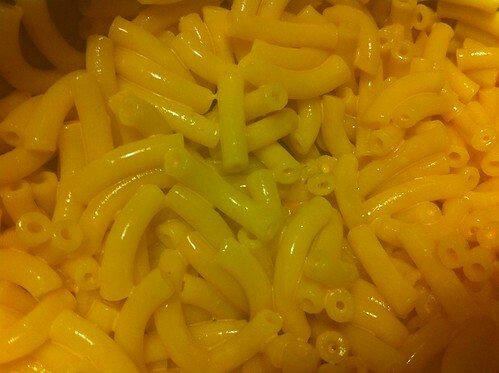 Add some mac and cheese because well, you just should.